If you have a developer background, your company uses Sharepoint and they want you add a lot of functionalities to that Sharepoint instance, by nature as a programmer you will try to modify the aspx files and use your choice of .Net language. 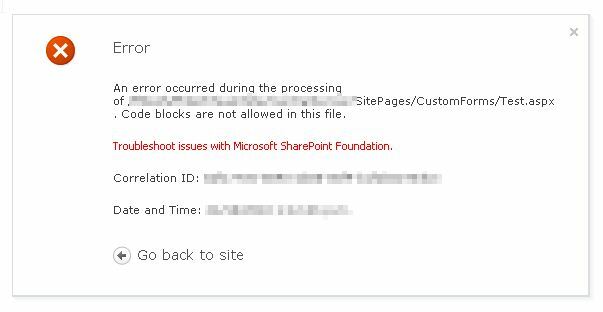 So you started to download Sharepoint desinger and have a look on what’s running under the hood and how to modify it. 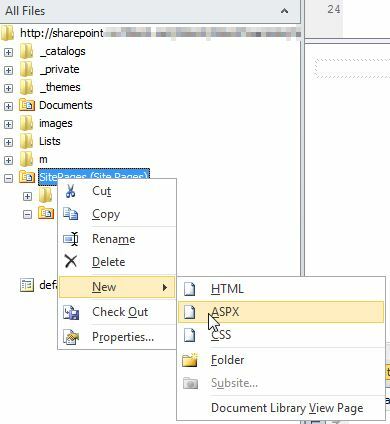 After downloading Sharepoint designer it also occured to you that you can create custom forms as when you right click on Site pages, you can add an aspx file. An error occurred during processing of “YOUR PAGE URL”. Code blocks are not allowed in this file. Your first reaction is WTF, you let me do the coding but you it wont allow me to run it. To be able to code in Sharpoint you need to enable it on web config. To enable it go to your WSS Virtual Directory. The default directory is C:\inetpub\wwwroot\wss\VirtualDirectories\80\ and modify your web.config (back it up first). 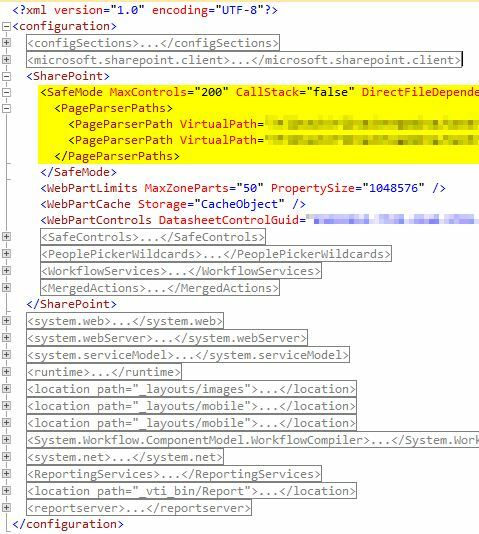 Now under Configuration –> Sharepoint –> SafeMode –> PageParserPaths add a new section for PageParserPath. Once you have done that the piece of code above should work, and be able to treat that aspx page like a normal aspx page on your web project. above in web.config but i am still getting the code blocks are not allowed error. it works for me. I did the same as you suggested and the issue has been resolved.